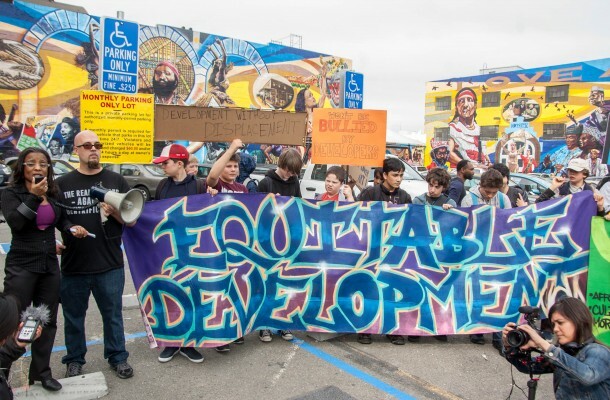 On April 7, the Community Rejuvenation Project (CRP) will host the Alice Street Symposium on Community Engagement Strategies and Best Practices. The event includes a screening of director Spencer Wilkinson’s “Alice Street Short” documentary film, two presentations, and a moderated panel discussion followed by an audience Q&A. The event’s objective is to facilitate a dialogue between community leaders, arts practitioners, funders, and public officials focusing on community engagement strategies using arts to address issues of gentrification, displacement, and resiliency. 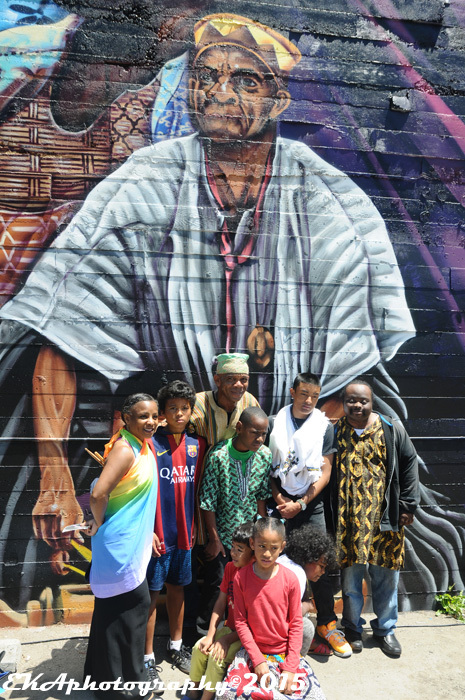 As Oakland’s gentrification epidemic continues, cultural arts practitioners and low- and middle-income residents now find themselves threatened with displacement — which creates an opportunity for common ground with historically-underserved communities of color. 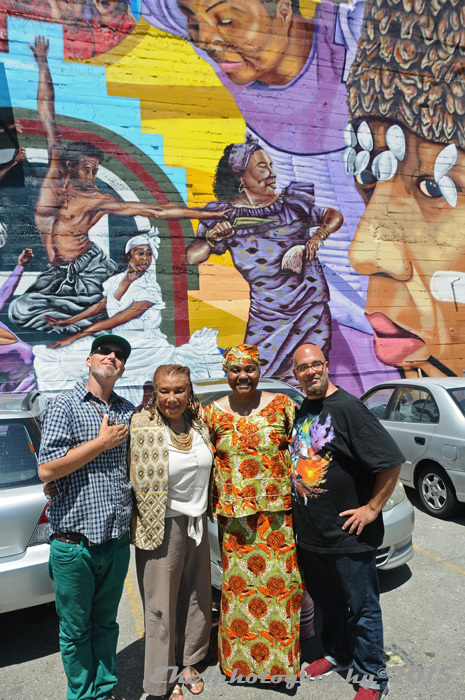 “Alice Street” spotlights these issues through a unique perspective – the painting of a massive mural which becomes a connecting bridge between two neighboring yet seemingly-disparate communities, as well as a symbol of the gentrification threatening communities or color and artists, and the struggle for equitable development. The symposium will further explore key issues and themes of the film: the role the cultural arts play in resiliency efforts of historically-underserved communities; community responses to concerns and threats of displacement; the impact of new development on ethnically-diverse neighborhoods; how murals transform and reshape blighted neighborhoods; the importance of community engagement efforts in public art projects; and how public art can be a connecting link to a city’s cultural history. 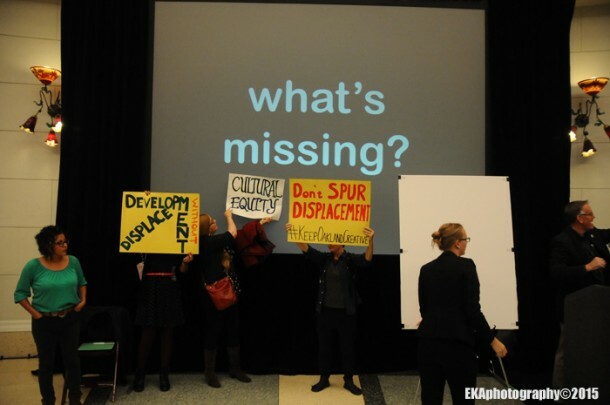 This event will engage and inform at-risk populations, culture keepers, arts advocacy organizations, and policymakers by identifying and sharing cultural resiliency best practices as part of anti-displacement efforts which seek to mitigate the negative impacts of gentrification. 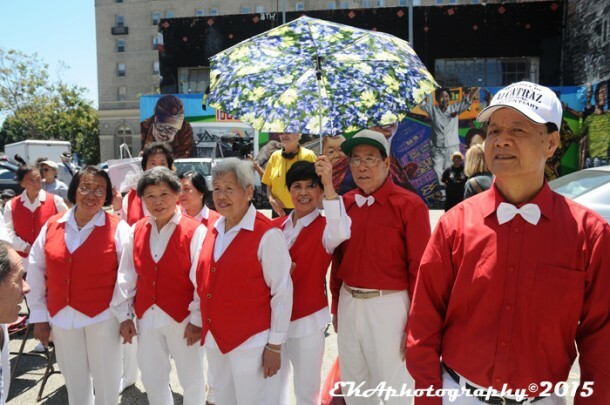 Presentations by CRP founder/Executive Director Desi Mundo and Roy Chan of the Chinatown Oral History Project will share stories of cultural resiliency and the evolution of community engagement models. Chan will focus on Tai Chi practitioners in Madison Square Park who have faced constant threats of displacement and Oakland Chinatown’s long history of resiliency in the face of land grabs by the city of Oakland, developers, and BART. 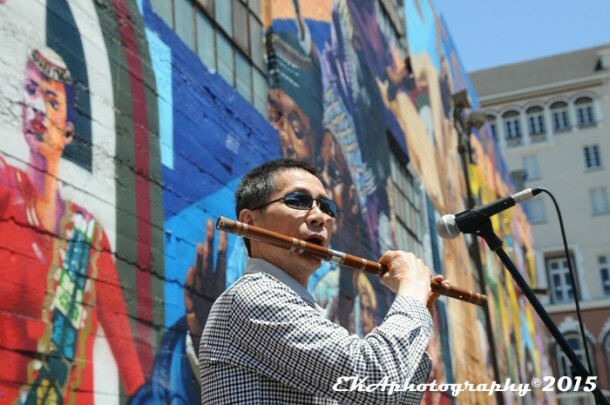 “With Oakland’s recent push for new development such as the Lake Merritt Station Area Plan, this story highlights ever more the importance of sustaining cultural identity in long-standing ethnic neighborhoods like Chinatown,” Chan said. The panel discussion will be moderated by CRP Communications and Policy Director Eric Arnold, and features local historians, culture keepers, artists, and organizers. The symposium will take place on Friday April 7, 2017 from 12 PM – 3 PM at the Elihu Harris Memorial Auditorium at the State Building and is free to the public. 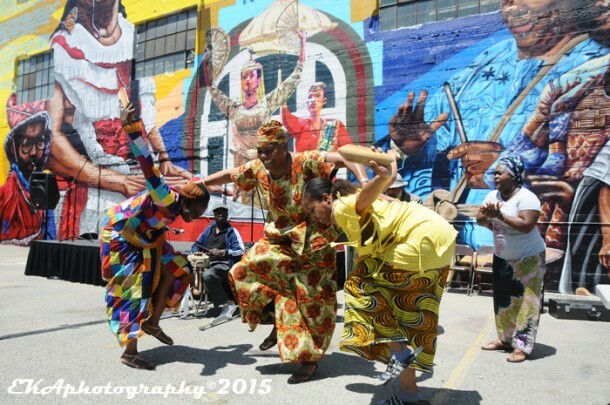 This event is sponsored by the Akonadi Foundation and Assemblyman Rob Bonta’s office. RSVP to the event here. For more information, email us at crpbayarea@gmail(dot)com or visit www.crpbayarea.org and www.alicestreetfilm.com.